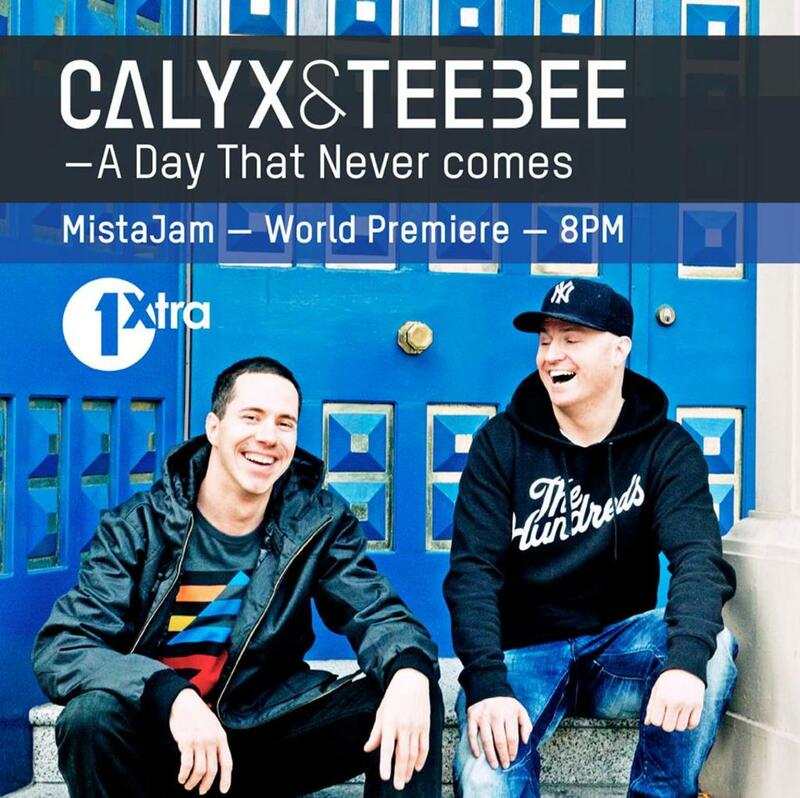 Calyx & Teebee - Mistajam Track PremierFirst radio play of the brand new track from Calyx & Teebee. After a hiatus which has left many fans sitting on the edge of their subs, Calyx & Teebee are making a dramatic return. And with this record in tow, the scene is about to bow down yet again to two of their most skilled sonic crafters. With the huge success of their All or Nothing LP laying just over the horizon, Calyx & Teebee are about to take the title place yet again and with the full throttle forces of pounding basslines and meticulously constructed mechanics. But what else could you expect from two revered veterans of the genre, whose joint muscle has telescoped the competition in comparison. And first track 'A Day That Never Comes' will be premiered tonight on Mistajam 's 1xtra show, followed by the audio on Vice's Thump. So stay tuned, as you'll get an exclusive first listen at 8pm.